If you’re selling a home, you know it takes more than just the right asking price to attract potential buyers. You’ll need to consider ways in which you can attract buyers to the house over others for sale in the neighborhood. The property managers at Arc Property Management Group in NYC say buyers can often tell the moment they walk through the door whether or not a house is meant for them. To leave the best first impression possible, their property managers suggest that you stage the home to make it feel inviting. De-Clutter: When preparing a home to sell, take time to clean away all the clutter. Pack away any trinkets, picture frames, toys, and other unnecessary items you may see lying around. You’ll also want to clean out and organize the closets and cupboards, as buyers will likely open them. Appeal To A Majority of Buyers: It’s best to stage the home using a neutral color pallet. While you may find bold colors or patterns appealing, potential home buyers may not; it could turn them off to the house. Stick to calming colors and stay away from specific decorating styles, like country-chic or retro. 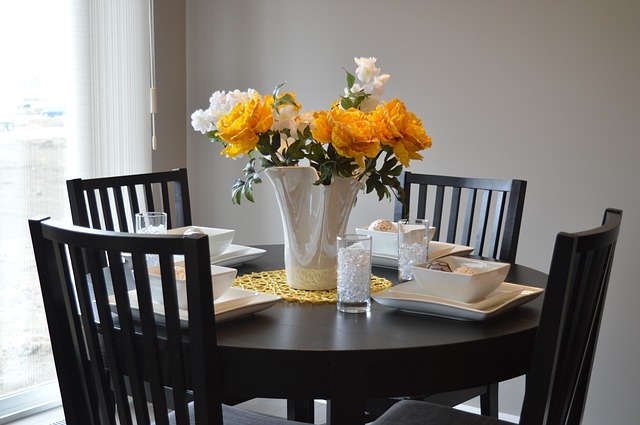 Set The Table: Believe it or not, buyers pay attention to dining rooms, as they typically try to envision what their family dinners will look like there. Undecorated, a dining room table can look bare and uninviting, so set the table and consider a fresh floral arrangement for a centerpiece. Rearrange Furniture: While the current furniture arrangement may work best for the family, it may actually make the home appear smaller. To maximize space, arrange the furniture in an open layout and pull pieces, like sofas, away from the walls to create inviting conversation areas. Stage The Backyard: Whether a backyard is large or only consists of a small patio space, don’t forget to stage it too. Yards are often a big selling point for buyers, so consider setting up a patio table and lounge chairs to create a welcoming outdoor living space. You can also include potted flower plants to add color to the front porch to create an inviting entryway. For more home staging tips, call the professional property managers at New York’s Arc Property Management Group today. They can be reached at (800) 769-8084, or you can visit their website to connect with them.